Make yourself at home in one of the 168 air-conditioned rooms featuring refrigerators and microwaves. Wired and wireless Internet access is complimentary, while 37-inch LCD televisions with satellite programming provide entertainment. Private bathrooms with shower/tub combinations feature complimentary toiletries and hair dryers. Conveniences include phones, as well as desks and complimentary weekday newspapers. Make yourself at home in one of the 118 air-conditioned rooms featuring refrigerators. Complimentary wireless Internet access is available to keep you connected. Bathrooms have bathtubs and hair dryers. Conveniences include phones, as well as coffee/tea makers and irons/ironing boards. With a stay at Hyatt Regency Coral Gables, you'll be centrally located in Coral Gables, a 2-minute drive from Miracle Mile and 13 minutes from University of Miami. This 4-star hotel is 4 mi (6.5 km) from Marlins Park and 4.3 mi (7 km) from Vizcaya Museum and Gardens. With a stay at LYX Suites at Merrick Park in Coral Gables in Coral Gables, you'll be within a 10-minute drive of Miracle Mile and University of Miami. 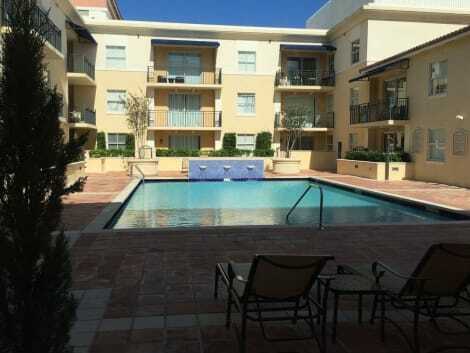 This 4-star apartment is 3.7 mi (6 km) from Vizcaya Museum and Gardens and 4.8 mi (7.8 km) from Dadeland Mall. 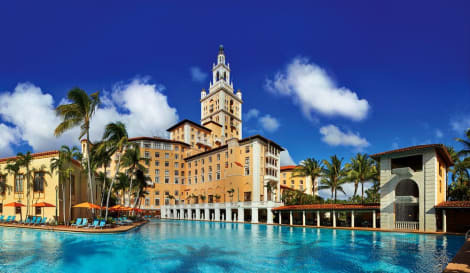 With a stay at Biltmore Hotel - Miami - Coral Gables, you'll be centrally located in Coral Gables, a 5-minute drive from Miracle Mile and 9 minutes from University of Miami. This 4.5-star hotel is 5.2 mi (8.4 km) from Vizcaya Museum and Gardens and 6.7 mi (10.8 km) from Florida International University. 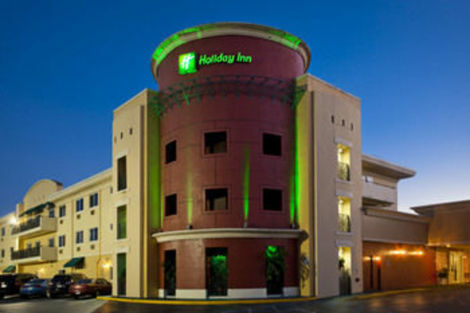 This hotel is located 6 km from Coral Gables city centre and the University of Miami. Wishes Coral Gables features free Wi-Fi throughout the property and guest rooms have refrigerators. Microwaves and cable TVs are standard room amenities at Wishes Coral Gables. All guest rooms come furnished with seating areas, telephones and air conditioning. 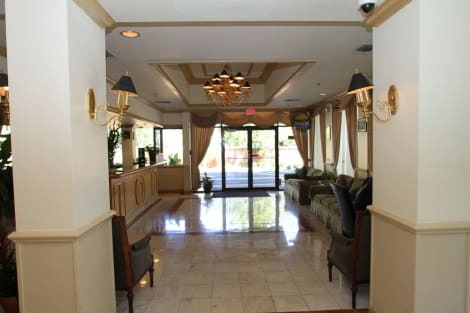 The Coral Gables Wishes hotel offers a 24-hour front desk and free parking. Miami International Airport is 5.5 km from Wishes Coral Gables. The Wishes hotel is 6 minutes' drive from Biltmore Golf Course. lastminute.com has a fantastic range of hotels in Coral Gables, with everything from cheap hotels to luxurious five star accommodation available. We like to live up to our last minute name so remember you can book any one of our excellent Coral Gables hotels up until midnight and stay the same night.